Play a lead role in the day to day running and marketing activities of the firm including providing direction and leadership toward the achievement of the organisation’s marketing strategy, objectives and annual goals. a) Ensure that all relevant staff is appropriately trained and understand the chain process. b) Ensure that all client applications and documentation received per branch and per sales point are appropriately processed and that volumes and speed of processing is regularly monitored and managed. c) Ensure that client’s database is maintained. a) Maintain overall responsibility for effective management of the entire business throughout. b) Make sure that there is a proper balance of the product mix. c) Daily monitoring of the sales/sales team. d) Daily, weekly and monthly reporting on returns. a) Maintain overall responsibility for the entire team and their respective functions. b) Operationally monitor internal and external customer service levels, in consultation with the principle Insurer (s). c) Recommend strategies for improving operations of the department. a) Conduct/ arrange for staff training from time to time and provide ongoing support. b) Management of the performance of all members of your team, including drafting, monitoring and evaluating key performance indicators for each role within the team.  Bachelor’s degree in Business administration is preferable. 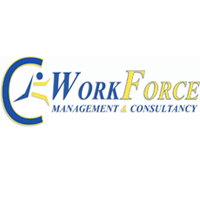  Must possess 3 to 6 years work experience.  Extensive experience in the Financial and Marketing sectors is essential.  Experience in the Insurance industry will be advantageous.